Why are athletes so tempted to NOT follow the game-plan even when it’s been working? Some athletes are so willing to abandon their game plan at the slightest shift of momentum even when the game plan was effectively working. It seems difficult to grasp that an athlete would stop following the prescription that gave them an advantage early in the competition. For some athletes, it is not always easy to stick to the game plan especially when they hit a speed bump in the middle of a competition. Usually, sticking to the game plan is often the best option when competitions get tight. Athletes that abandon their game plan in the midst of a competition at the first sight of adversity, often see their performance spiral out of control quickly. Pressure – When pressure increases, everything in the competition becomes magnified. Mistakes often are accompanied by a sense that things are falling apart. At this crucial point, some athletes start to panic and veer from their game plan. 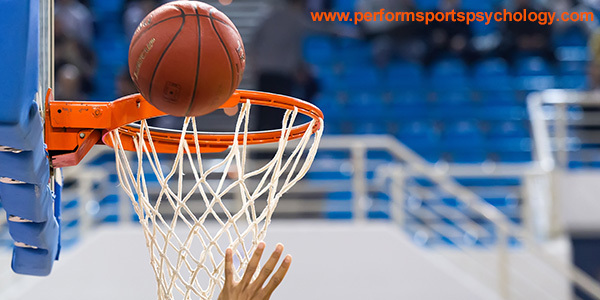 Outcome Thinking – Rather than staying focused on the current point or the present moment, athletes that abandon their game plan focus on outcomes or what might happen. When stressed, an athlete engaged in outcome thinking usually focuses on worst case scenarios, adding to their stress, distracting them from the game plan and detracting from their performance. Playing Too Rushed – When momentum switches, sometimes a little break is all you need to refocus on your game plan. Most athletes tend to get flustered after a momentum swing and play too fast or too reckless leading to an increase in mistakes and poor decisions. Inability to Make Adjustments – Your game plan should not be an all-or-nothing proposition. A little adjustment in your game plan can get you back on track but that requires that you clear your mind and let go of the past few plays. A game plan is an added form of preparation that aids an athlete’s confidence. A game plan is a valuable tool to help athletes play to their strengths and stay focused in the moment. It’s not enough to merely have a game plan and it is also not enough to put the game plan in play at the start of a competition… What matters most is sticking to the game plan when things don’t go 100 percent as planned. Sticking to the plan is the reason the Villanova Wildcats became the 2018 NCAA National Champions. A big component of Villanova’s standard game plan is the 3-point shot. Villanova hit 15 or more 3-pointers in a game 11 times this season and set a Final Four record for 3-pointers made in a game (18) in a win over Kansas. The Championship game against Michigan did totally go as scripted. Villanova found themselves down five points, 21-16, with eight minutes left in the first half. At this point in the game, Villanova was only 1-for-5 from the three-point line. Villanova didn’t scrap their game plan, they kept shooting the 3 ball and made 9 of the 22 shots to earn a dominating 79-62 victory over Michigan to earn their second National Championship in three years. Villanova junior Mikal Bridges summed up how sticking to the plan has proven successful for Villanova. The game plan is a steadying force that keeps your head in the game even when the game isn’t going totally according to planned. Having confidence in your game plan will give you confidence in your game… And that, ultimately, is the key to success. So when things go a little awry, take a deep breath to slow the mental pace of the game and remind yourself of your game plan.